That the LTE networks operated by Verizon and AT&T are not compatible with each other is something we are already aware of. However, we might be looking at what is the tip of a global LTE fragmentation iceberg, and we seem to be headed in its direction. According to Wireless Intelligence, LTE networks around the world will use 38 different spectrum frequency combinations by 2015. The number of LTE networks is predicted to reach 200 by that time, or about five times as much there are today. At the same time, the most common 700MHz spectrum, which two thirds of LTE networks globally use today, is what only 16% of them will operate on. 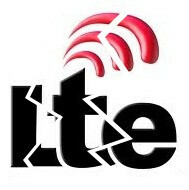 If this unfortunate scenario becomes reality, global LTE roaming will likely be rendered close to impossible. And what hinders it is that manufacturers will have to equip their devices with radios compatible with a huge number of spectrums. Furthermore, switching between carriers will be even more difficult due to LTE incompatibility. All of that can be avoided if a cross-network LTE standard is established so that all LTE networks use the same spectrum. However, with more and more slices of spectrum expected to be put up for auction and with a multitude of carriers choosing to use a frequency band of their own, that does not seem very likely to happen easily. Exactly Gemmol, The carriers have always held the upper hand in imbalanced power. They have successfully manipulated the industry to adapt or do without. With today's dependency on wireless communications, who can do without? Profits obtained by locking consumers into contracts is much easier than competing for subscribers on a pricing or innovation level. John B. So, now ... 2600 is at 5% ... yet in 2015 ... it more than doubles to 11% and the 2500 MHz comes out of NO WHERE to 10%. The current 19% that North America is pushing with the 1700 - 2100 is going to have negative growth and be at 13% in 2015. So ... the question is ... who owns 2600MHz and 2500MHz??? Answer: ... China and Clearwire China is the sleeping giant as far as cell phones and is just starting to wake up ... the 2500+ range has no choice but to get bigger. FYI - The EU is designating 2600 as the band for Mobile Broadband. As well, given the unequal requirement for upload/download speeds with Mobile Broadband, the European Union's FCC counterpart claims it will likely become LTE-TDD. As such Asia, NA and Europe will have sufficient LTE compatibility. Whats the difference in spectrum? Is one faster than the other?